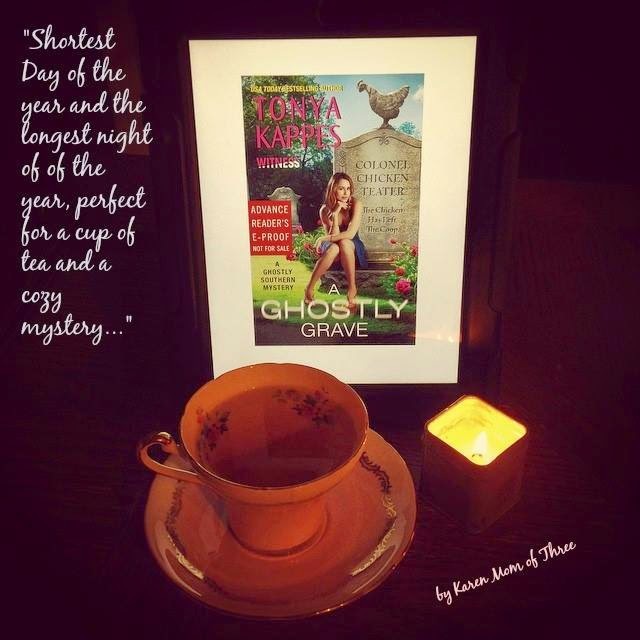 A Ghostly Grave by Tonya Kappes. I Got An Advanced Reading Copy of A Fantastic New Series! 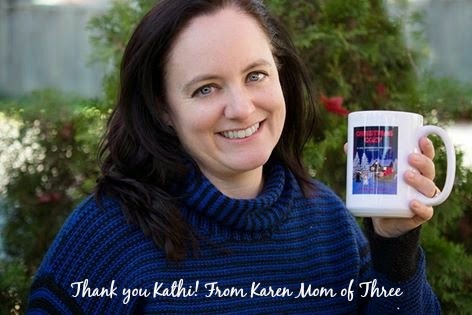 I have followed USA Today's best selling Tonya Kappes on Facebook for a while, and I was so surprised to receive a message via Instagram From Tonya asking if I would read one of her up coming books. I got the message while driving and had to pull over and do a "Happy Dance" when the message came in. I had a "fan girl moment" I am told by my 11 year old. 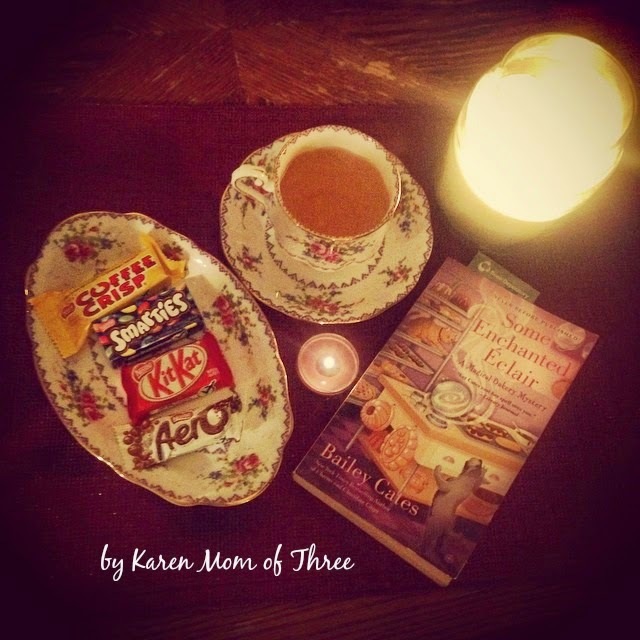 I was so thrilled to be given the opportunity to read the second book in her Ghostly Southern Mystery Series the advanced reading copy of Ghostly Grave. 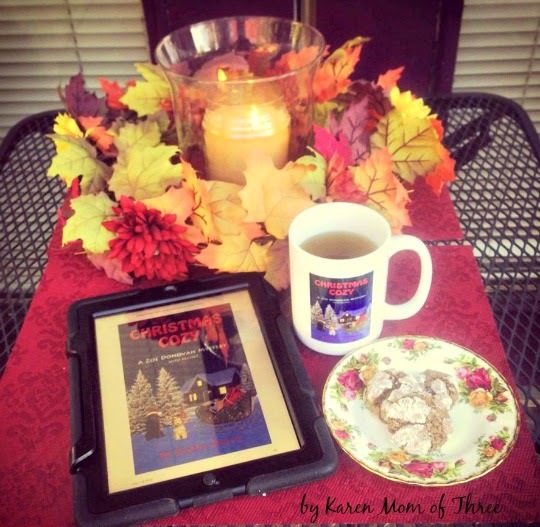 I spent a few days reading and enjoying Ghostly Grave on my Ipad and I have to tell you honestly that I laughed out loud so much in the first few chapters my son asked me to "go read in another room"
I could not have imagined just how funny a mystery series about an undertaker who talks to the dead could really be. 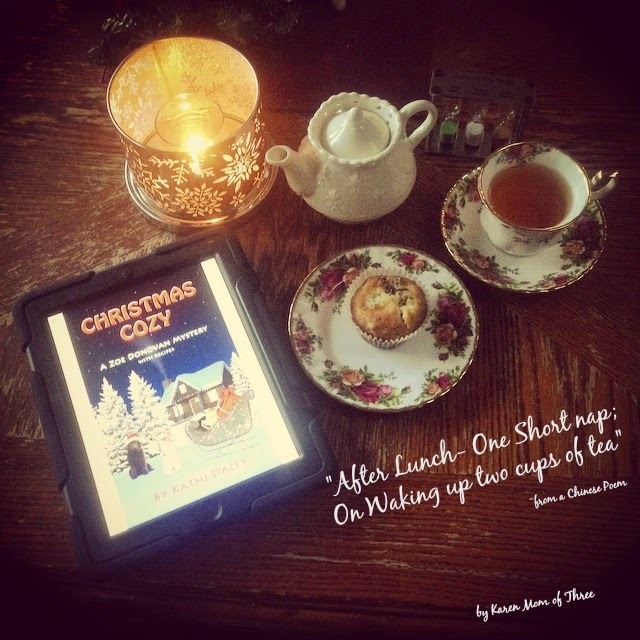 I hung on every word and comical situation that Emma Lee seemed to encounter through out this book. I found the main character's Grandmother hysterical, I could picture her perfectly with the way that Tonya wrote and described her. The books story line is so good that I could picture a TV series based on the life and times of this small Kentucky town, Sleepy Hollow and Eternal Slumber's Undertaker Emma Lee. 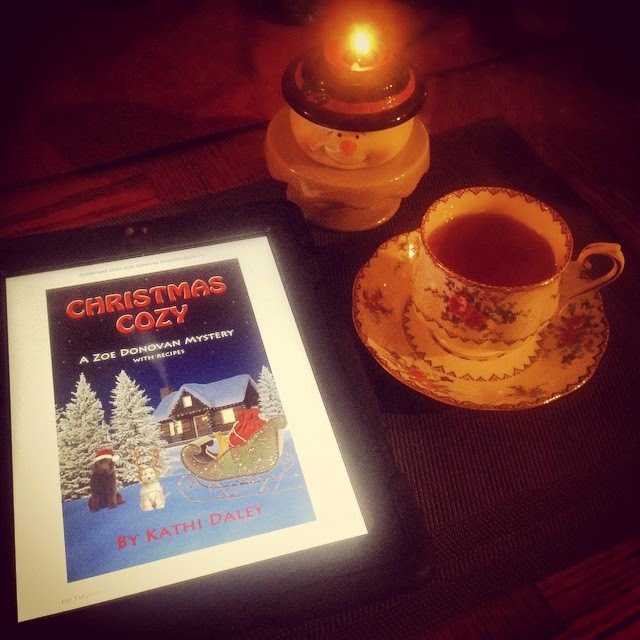 I finished this book on Christmas Day and I loved it. It was very well written, the story line was exciting and had great twists and turns. This is a series that would be very easy to get hooked on! 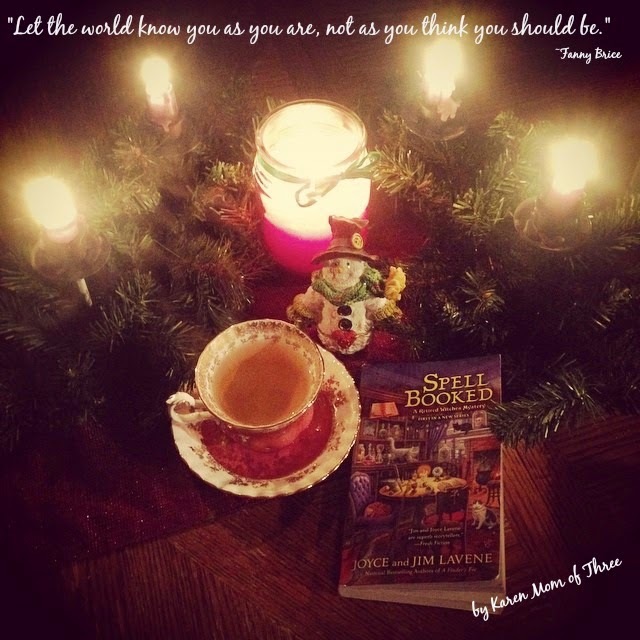 You can find out more about Tonya Kappes and the Ghostly Southern Mystery Series by visiting her website simply by clicking here. You can also find her on her Facebook Fan Page by clicking here. I wish to thank Tonya for allowing me to read A Ghostly Grave! 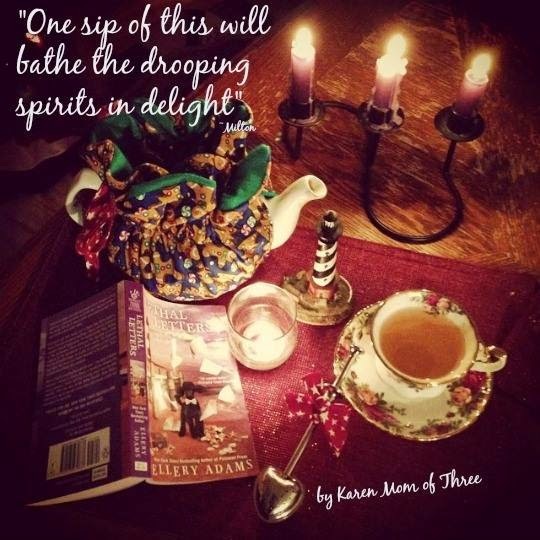 To pre order your copy of the first book in this series A Ghostly Undertaking Click here. 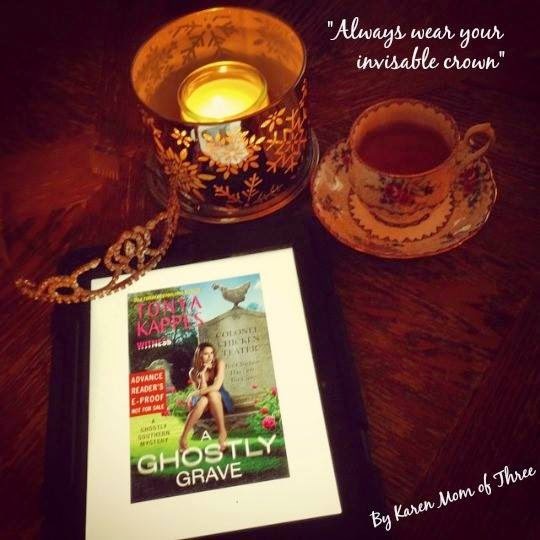 Watch for the following two books in the series A Ghostly Grave due out March 31st and A Ghostly Demise due out August 25th 2015, you can pre order both directly from Harper Collins Publishers by clicking the highlighted titles. Some books you read stay with you for a long time. 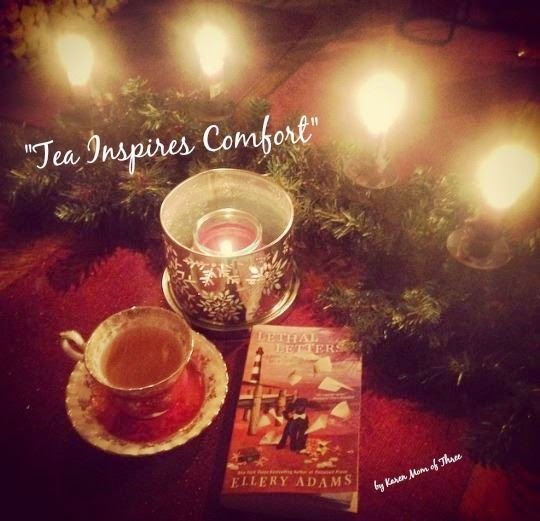 I finished Ellery Adam's most recent Books By The Bay Mystery, a few weeks ago but did not write my review right away. You see for me writing the review is like saying good by to the book and I was not quite ready to do that yet. 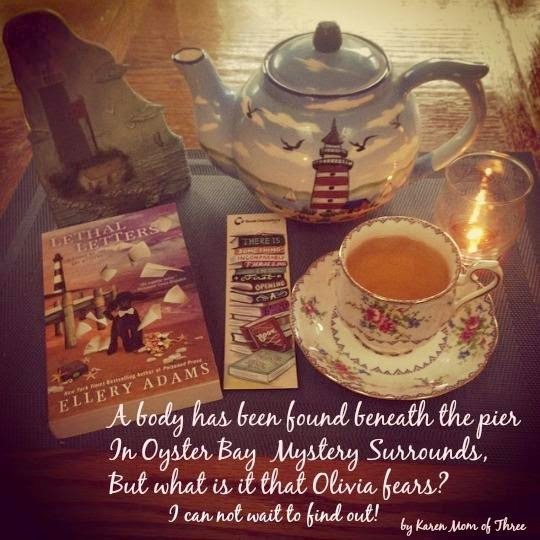 The Books By The Bay Mysteries are very well written and the returning cast of characters and their stories endear them to the reader in each installment. 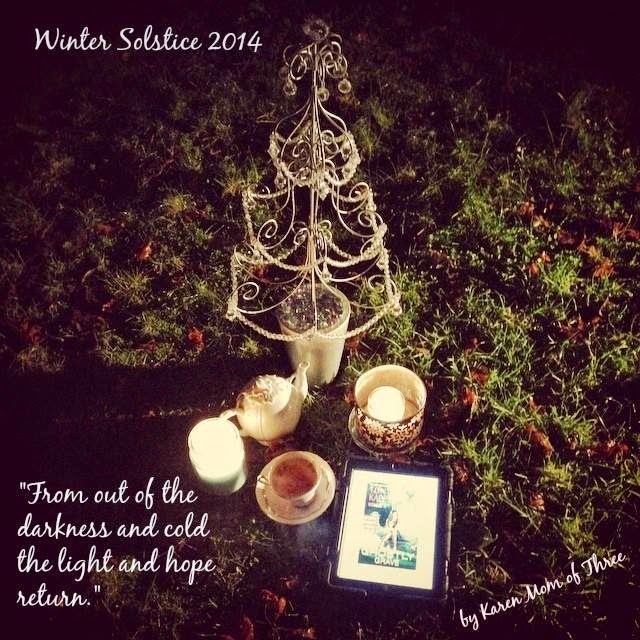 For the reader each chapter in Ellery's books is a first class seat on Olivia's journey of self discovery. 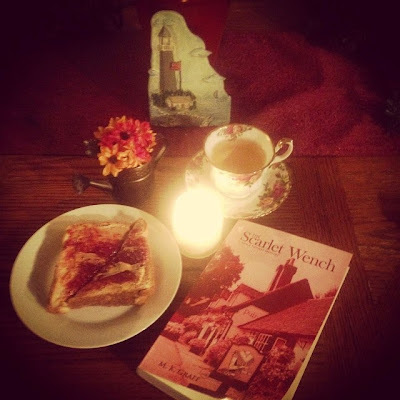 Olivia's quest for acceptance in her town of Oyster Bay North Carolina is a theme through out the series and it is such a pleasure to watch her really come into her own in this latest book. I cried at the end and did not want the book to end. 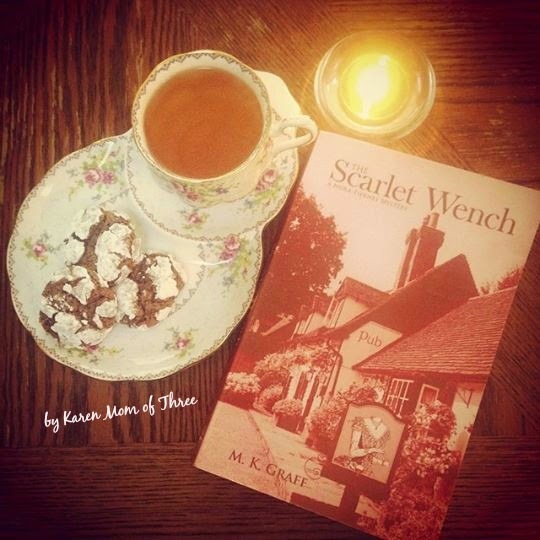 I take comfort in a great cup of tea and the fact that I can re read the series and visit Oyster Bay anytime I need too until the next one is written! I ordered my copy from The Book Depository. You can do so with FREE shipping by clicking here. 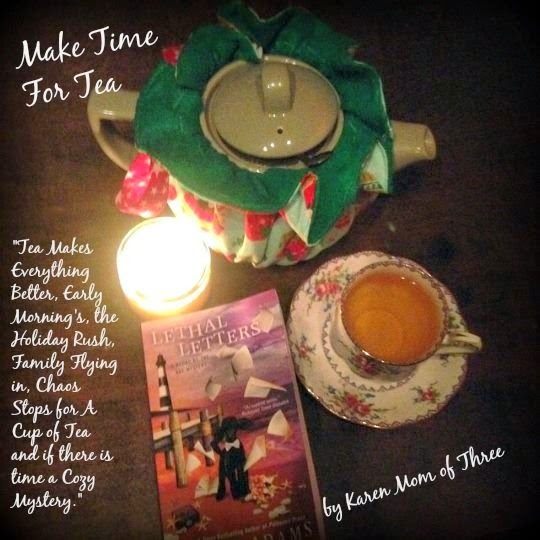 Do join me on Facebook for my daily tea photos and to see what I am reading. 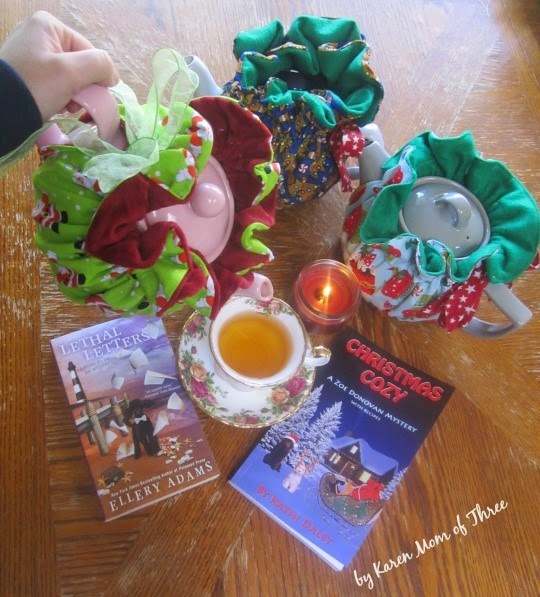 We have monthly tea and book mark give-away's and lots of fun chatting about our favorite cozy mystery series. Click here to like my page. 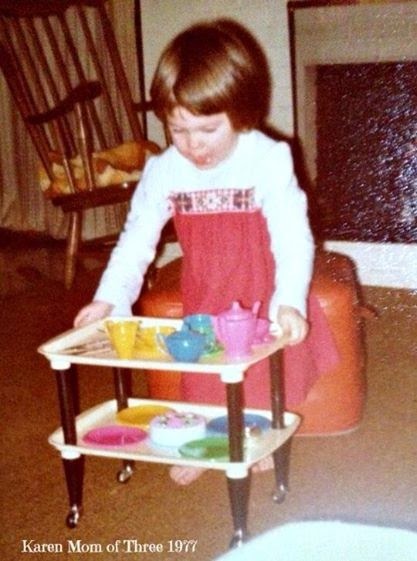 I have always loved to host a tea party, so I hope you will join me. 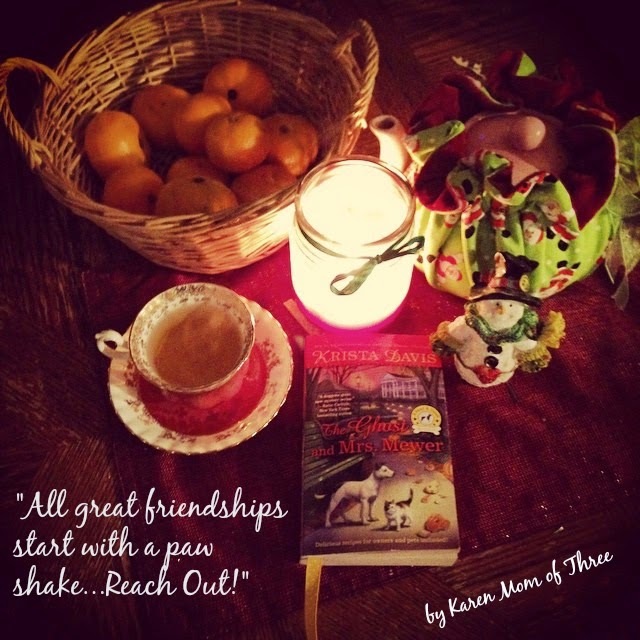 The Ghost and Mrs. Mewer by Krista Davis Is A Magnificent Addition To Her New Paws & Claws Series! 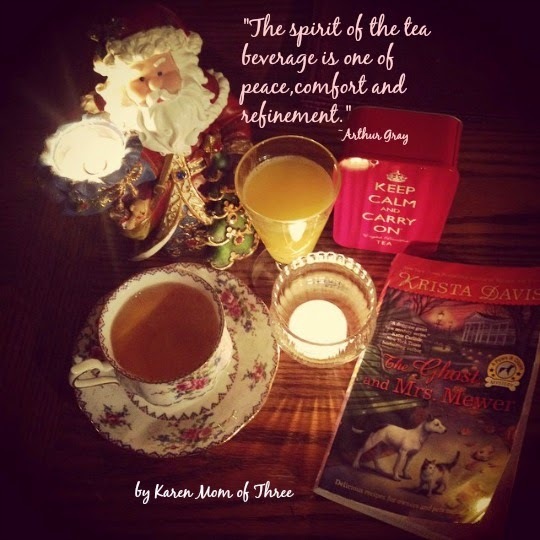 Well I just finished The Ghost and Mrs. Mewer by Krista Davis. 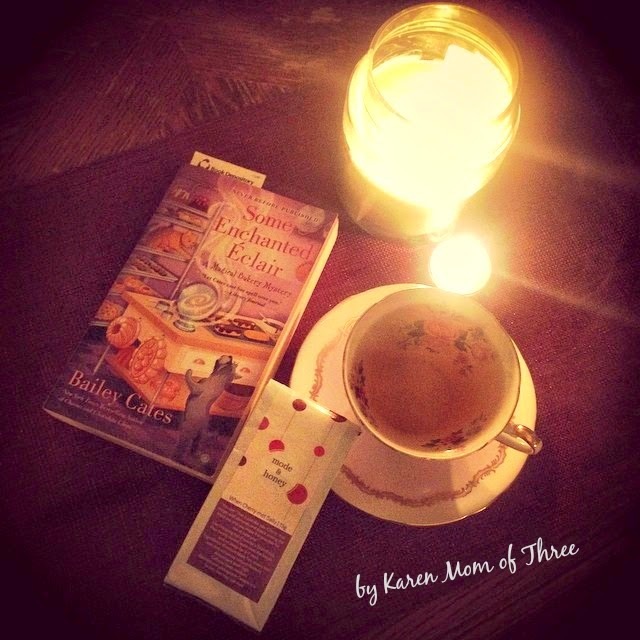 This is the second book in the Paws & Claws Series and I really enjoyed reading it. This felt like a non stop adventure mystery with so many things going on in this busy little town. 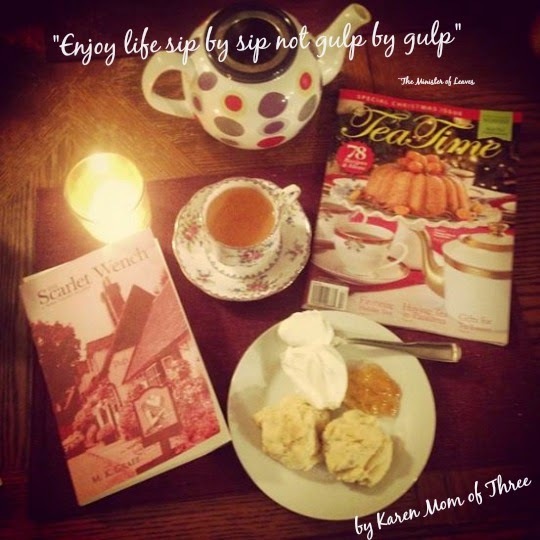 The way Krista writes you can not help but fall in love with the idea of a town like Wagtail, Virginia where you and your pets can take the most wonderful vacations together and be equally indulged! 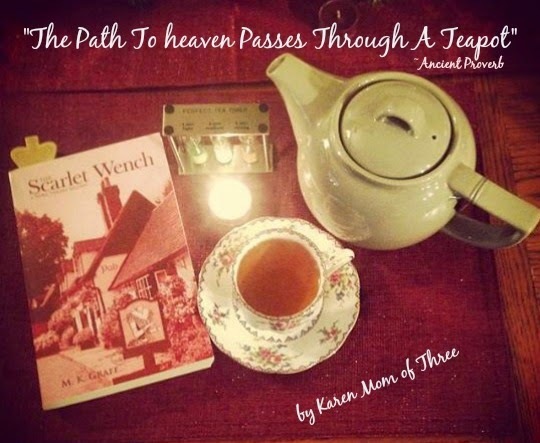 This book takes place about a month or so after the first book ends and right way I was transported to The Sugar Maple Inn and was enjoying my time sipping tea at my table feeling like a guest at the inn eavesdropping on the on goings of Wagtail in late October. The Ghost and Mrs. Mewer had so many wonderful and rich characters both 2 and 4 legged! Not only were we re introduced to some colorful characters from the first book but we were introduced to some characters I truly hope will stick around Wagtail and add to the next next adventure. I really enjoyed how impartial main character Holly is written in the debate over the existence of Ghosts and the Haunting of WaigTale, but I will admit to sleeping with the lights on a bit last night! 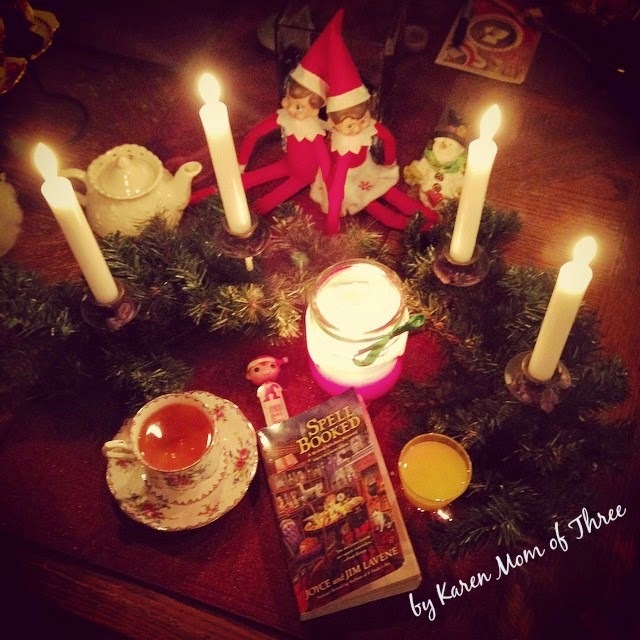 Pick up a The Ghost and Mrs Mewer and enjoy a great ghost story just like in the old Christmas Song "It's the most wonderful time of the year" where their are "tales of ghost stories" and tuck in for a great holiday read! 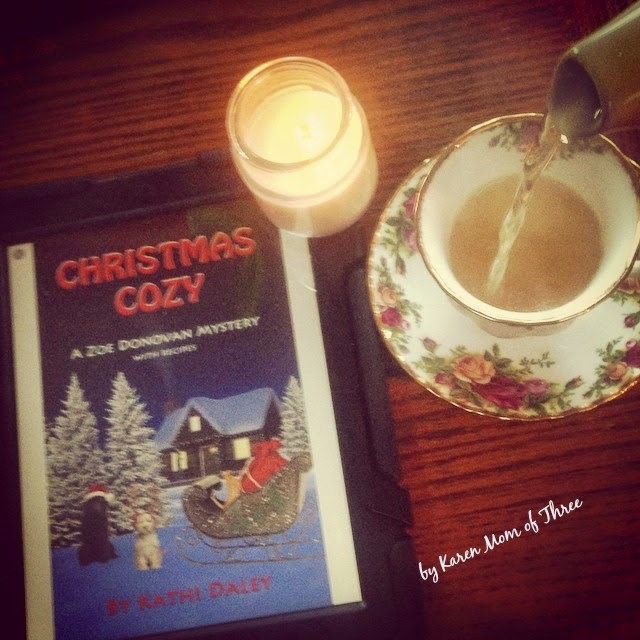 To learn more about Krista Davis and the Paws & Claws Mystery series please click here. Please note I was not sent this book to review and pre ordered my own copy from The Book Depository, you can find a link to this book by clicking here. 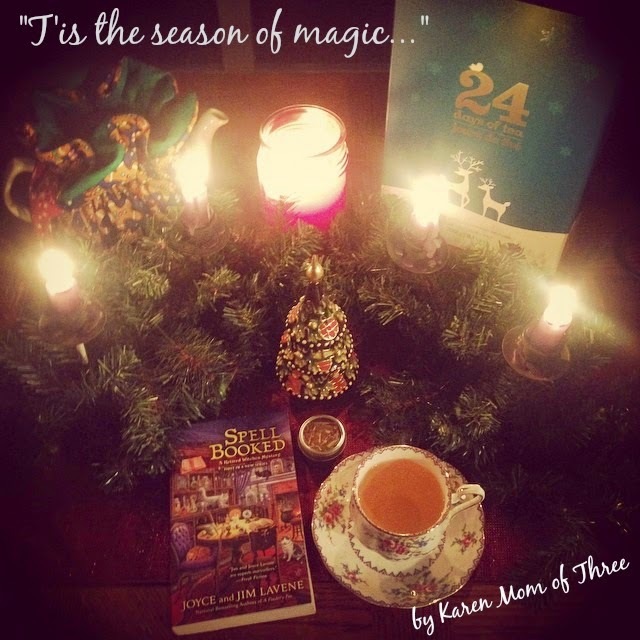 Spend The Holiday's Enchanted! 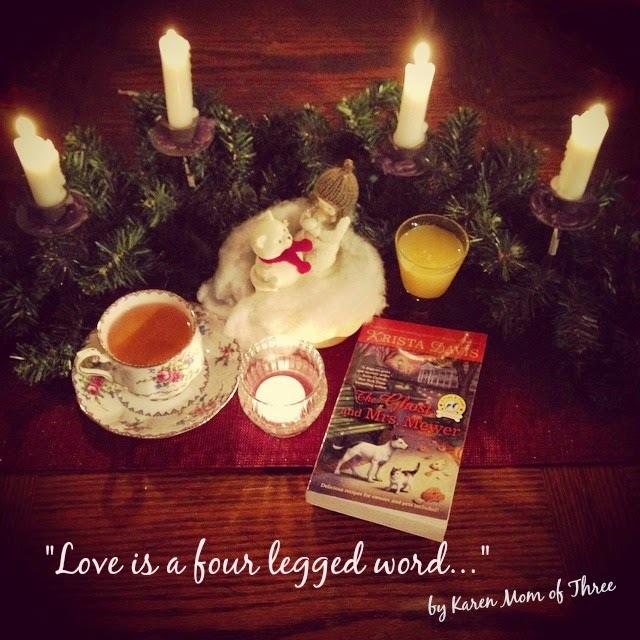 Joyce and Jim Lavene's Newest Series Is Magical! I have been looking forward to reading and reviewing Spell Booked. I pre ordered it from The Book Depository as soon as I learned about it from my Friend Lisa K. This book was so worth the wait. I have savored every word with every sip over the last few days. One of the things I liked most about this book was the range in ages and abilities of each character, richly written and endearing I felt connected to each of them right away. Hook, line and sinker for me, I was completely enchanted. 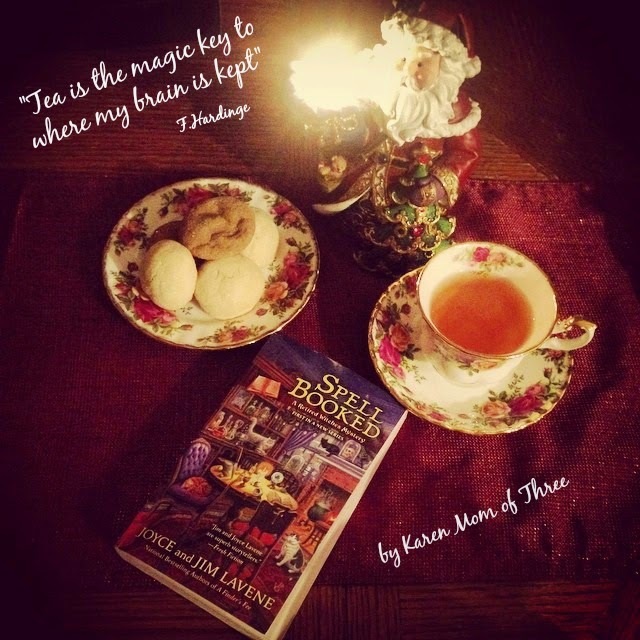 The idea of retiring witches looking to pass down their magic was a fantastic topic and twist in Spell Booked, this first in series by Joyce and Jim Lavene. It is so well written and was such a joy to read. I am a sucker for a great cover and this is one of my most favorite cozy mystery covers of all time! So many clues and details in the artwork. The book is written with that same attention to detail and I was captivated from the first paragraph. I also loved the amount of tea that is consumed by the characters in the book, it really helped me relate to them even more! Just like that the book is done. Not entirely released from it's spell and counting the days until the next in series is released. Joyce and Jim Lavene produced real magic with this book. I am enchanted. 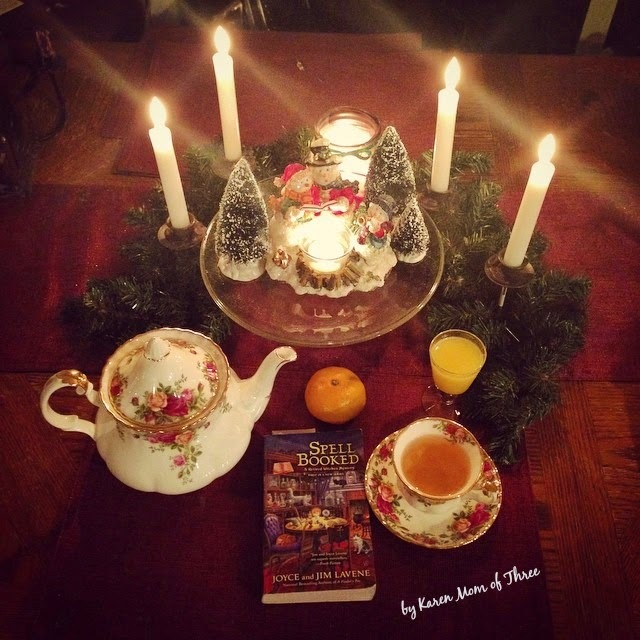 If you are looking to give a great book to a cozy mystery lover this holiday season or if you want to be a "selfish Santa" Pick up a copy of Spell Booked and you will not be sorry! 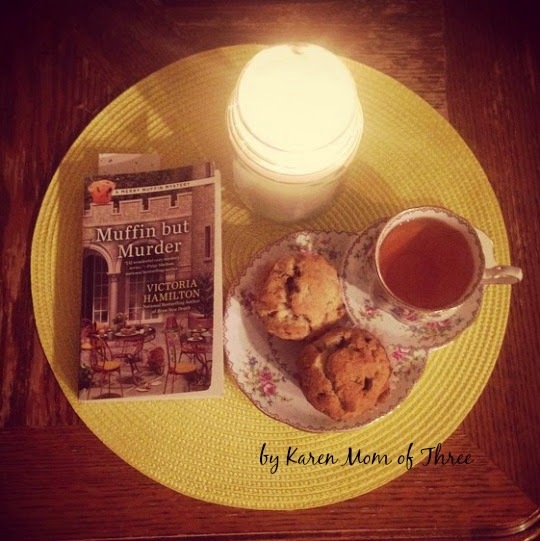 This week I finished Muffin But Murder. 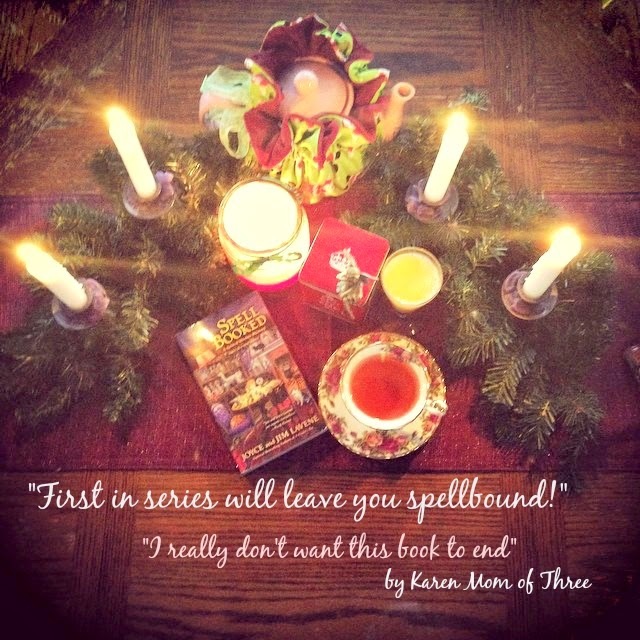 I loved this second addition to the Merry Muffin Mystery and getting to see how Widow Merry finds her way in Autumn Vale and the Castle she has inherited from her late Uncle. Along with two of her best Friends Merry hosts a party of both welcome and most un welcome guests. So many fun story lines intertwine in this adventure. I love the range of ages of the characters and that is is set in the fall. 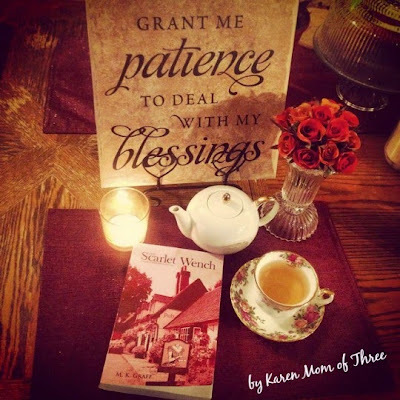 Perfect reading for this wet October week! 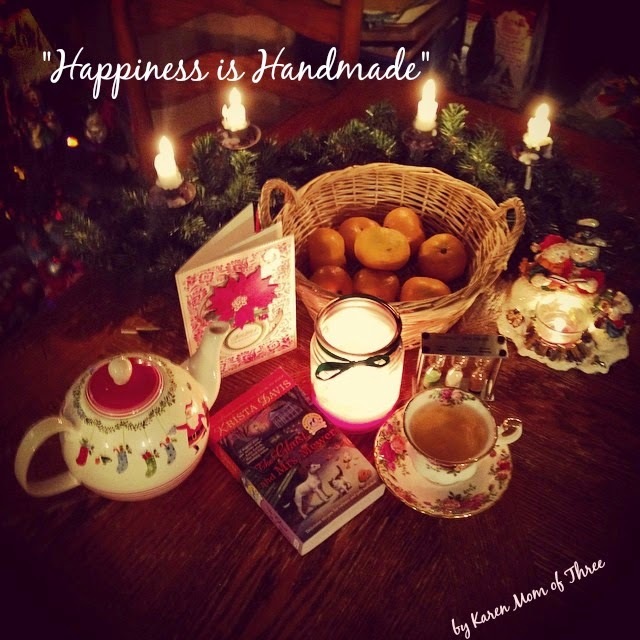 I am looking forward to trying the recipes included in the back of the book that include muffins and soup! 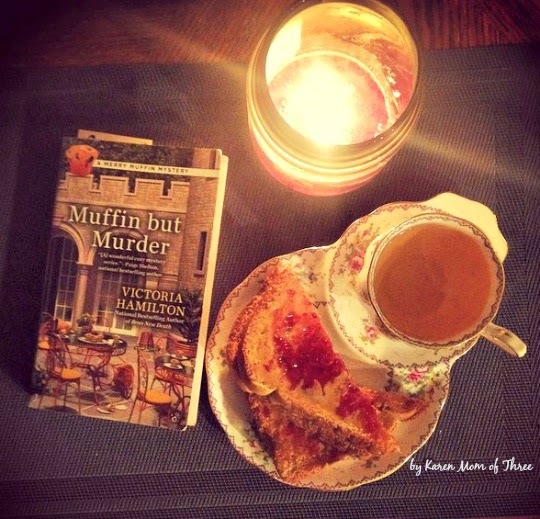 I ordered Muffin But Murder from The Book Depository and I am so glad I did. I actually ordered the first one A Bran New Murder and This one on Canada day (July 1st) but wanted to save this book for the fall. 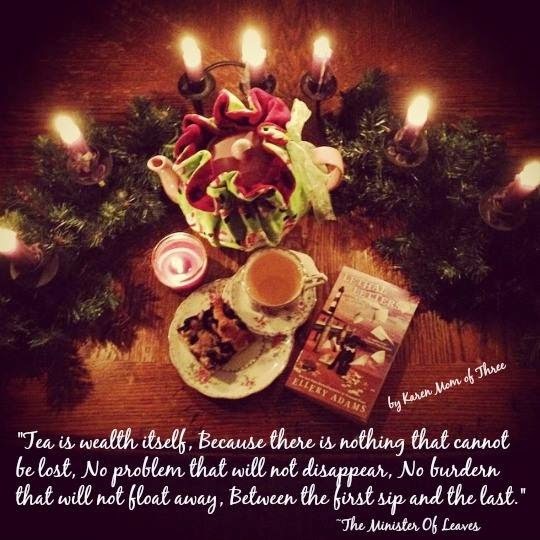 I love reading books set at the same time as the season we are currently in don't you? 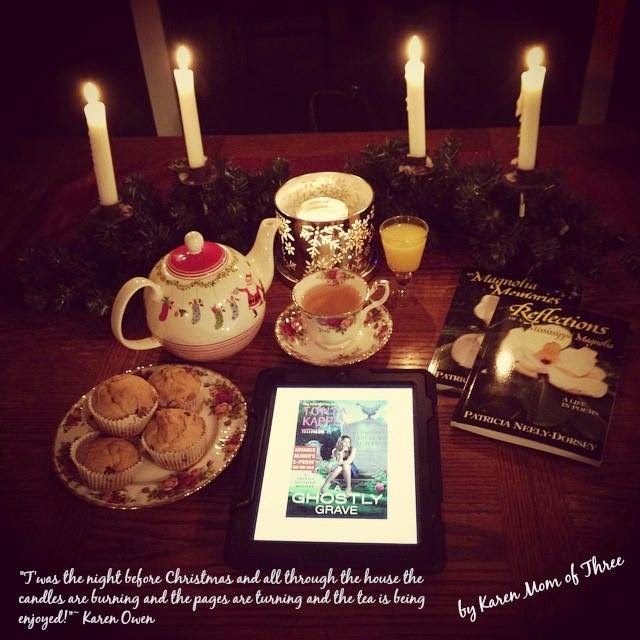 You can find out more about A Merry Muffin Mystery Series and Author Victoria Hamilton by Clicking here. 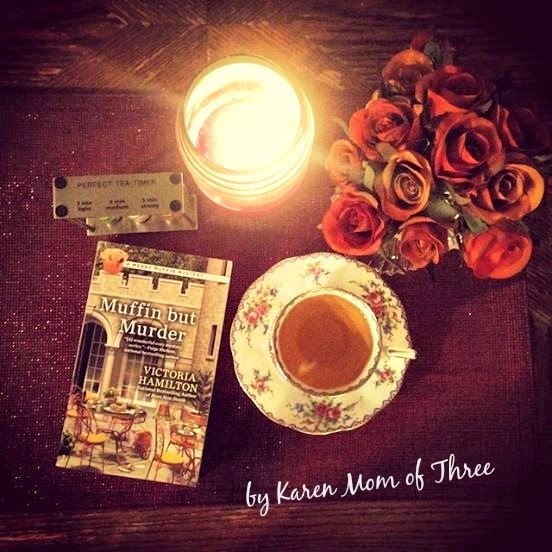 I look forward to sharing another Cozy Mystery Review with you soon! 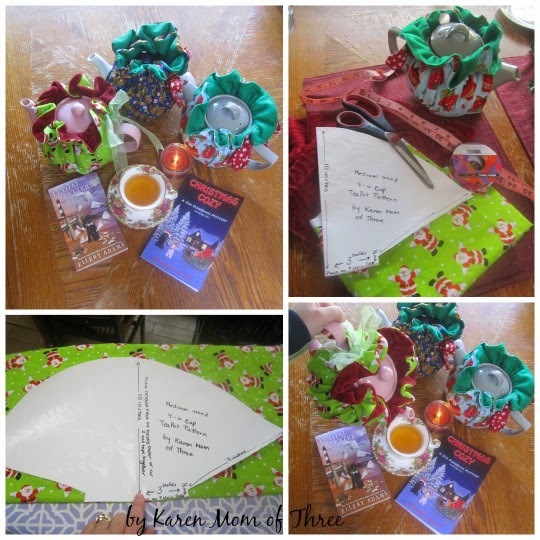 Today I thought it might be nice to share an easy sewing craft that is tea related that you may wish to make and give to the tea lover in your life. 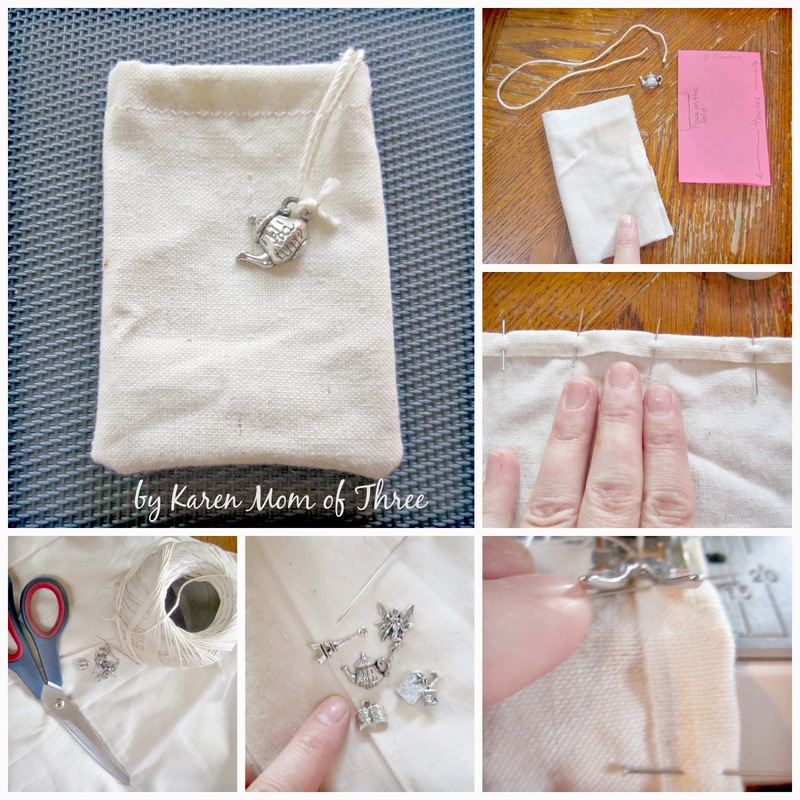 I have been making and gifting reusable tea bags for a few years now and I wanted to share this tutorial with you and inspire you to make and share them. 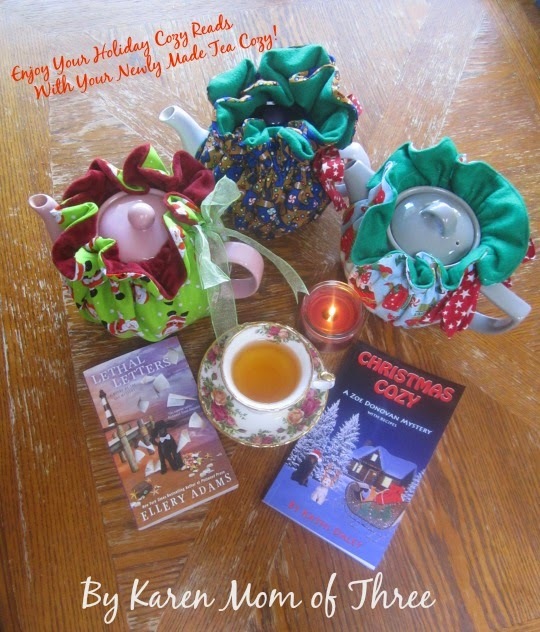 If you are not a tea drinker but just a Cozy Mystery Lover, these make great bookmarks as well! 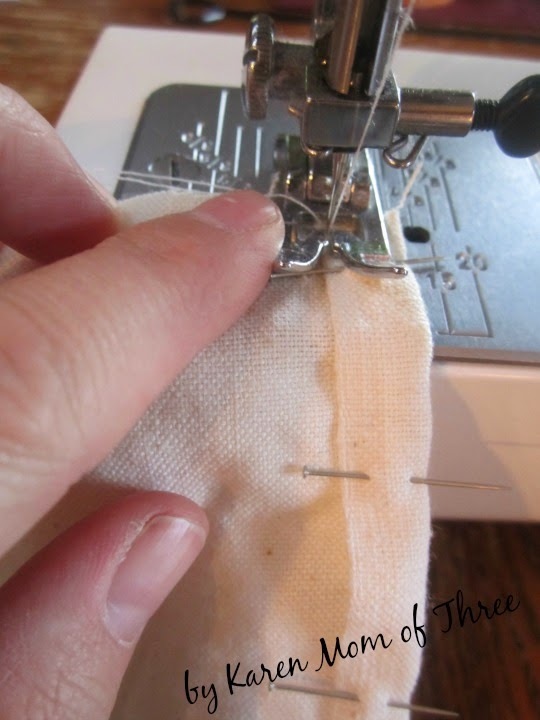 -A Sewing Needle with a large "Eye"
Step one- Assemble all your supplies, plug in your sewing machine in, your iron and set up your ironing board. Step 2- Use your ruler to measure a rectangle on your paper that is 2.5 inches wide by 4 inches long. 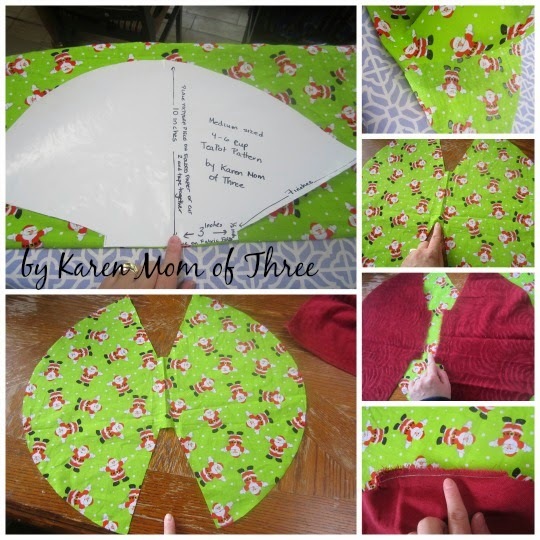 Cut out your pattern and place it a side. 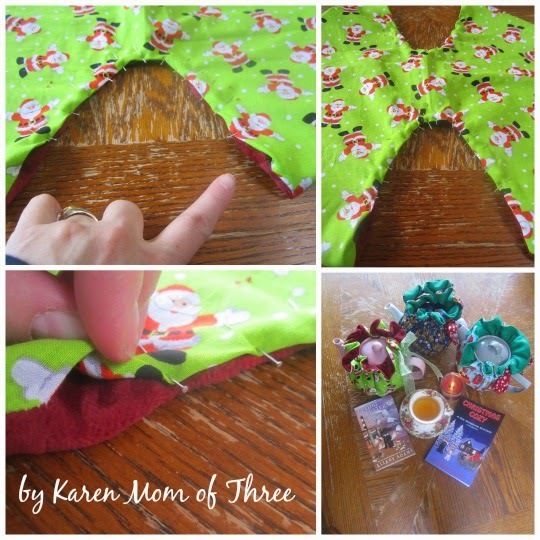 Step 3- Iron your fabric and fold it over so that one edge is 2.5 inches over the fabric. 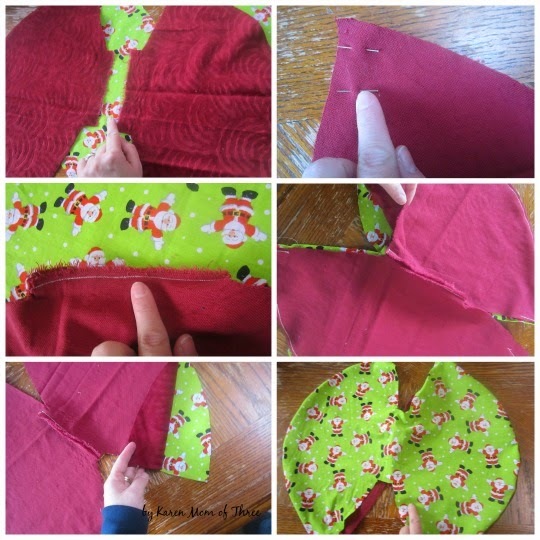 Place your pattern on the fold of the fabric and cut out. If you unfold your fabric your rectangle will now measure 5 inches by 4 inches. Step 4- Fold over the long edge of your rectangle and pin it at 1/2 inch as I have in the photo above. If you are not a fan of pins you can iron this edge. This will be the casing for the crochet yarn. 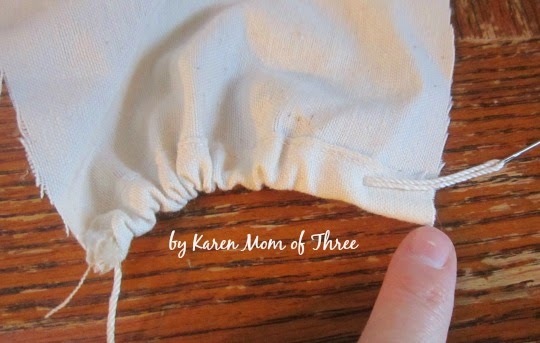 Step 5- Zig Zag Stitch the casing along the raw edge you have folded and pined into place. Step 6- Tread your needle with your crochet thread and feed it through the casing you have created. 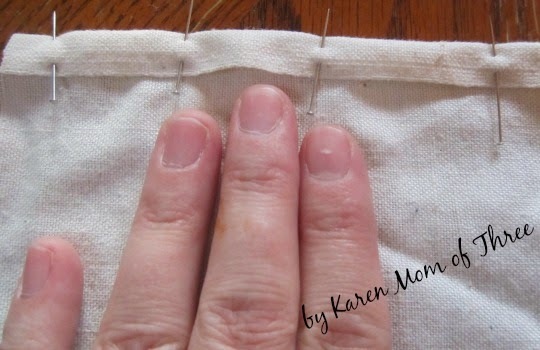 So that I avoid the frayed edges I actually sew through my ends as shown in the photo above leaving 1/2 an inch so that when I sew the bag closed the draw strings will not be in the way. You can do yours regularly through the casing or as I have. When you sew closed your bag only sew up to the casing so that the strings will work to open and close your bag. Step 7- Fold your tea bags with what will be the outside of your tea bag also known as the right side, so that the raw edges are on the outside. 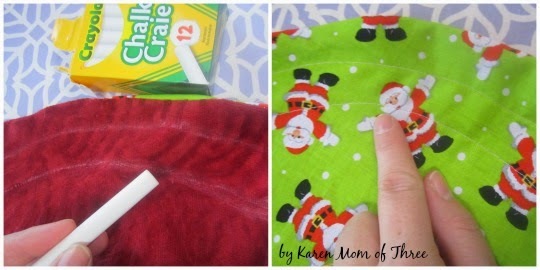 Sew closed your bags along the two open edges away from the casing. Step 8- Turn them inside out and check that they open and close easily. 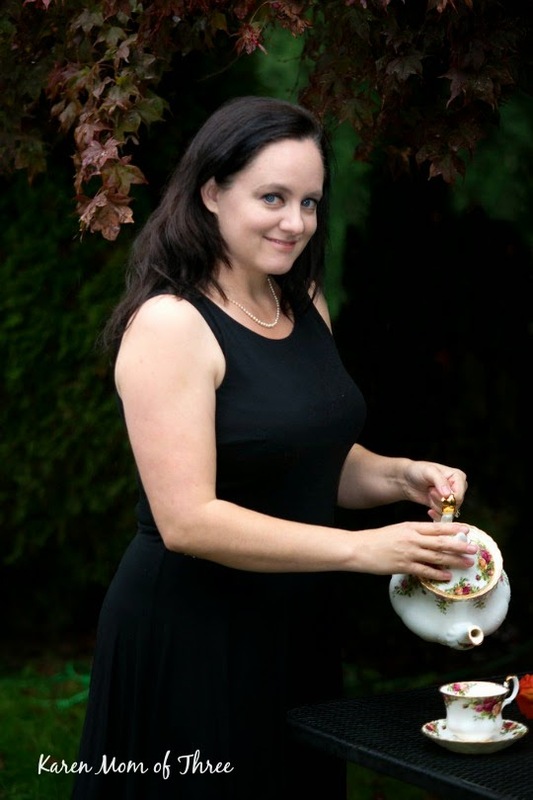 Now they are ready for a great loose leaf tea! 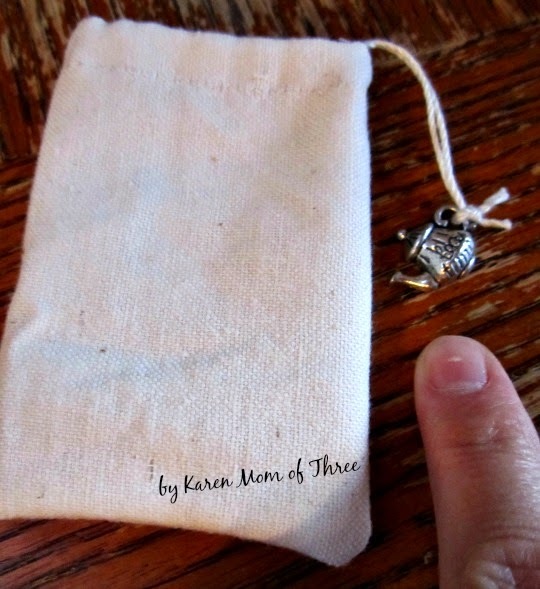 Step 9- Attach small charms to your draw string ends by knotting them into place. 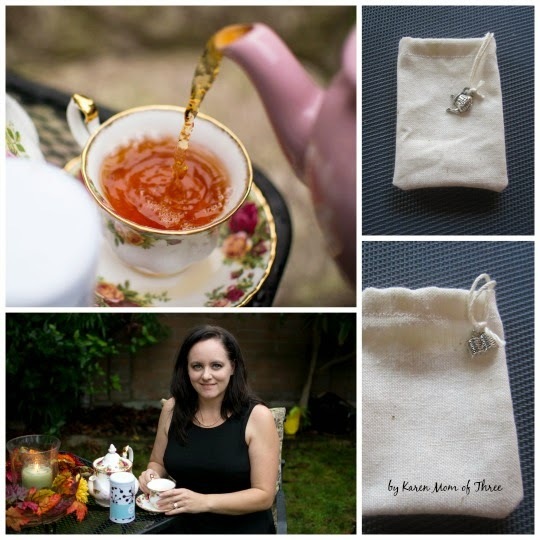 Repeat steps 1-9 to create wonderful tea bag gifts or as a set of your own. 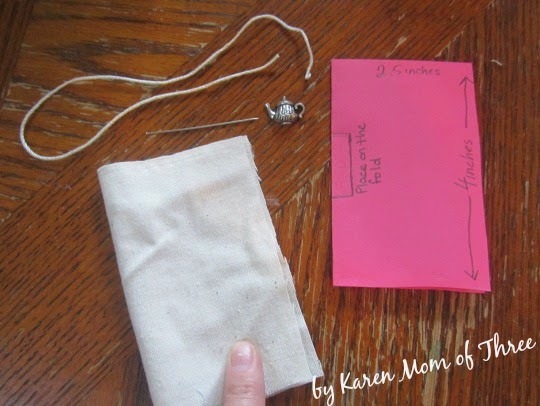 Close the draw string bag place it in your cup or pot and pour your hot water over it, allow it to steep. 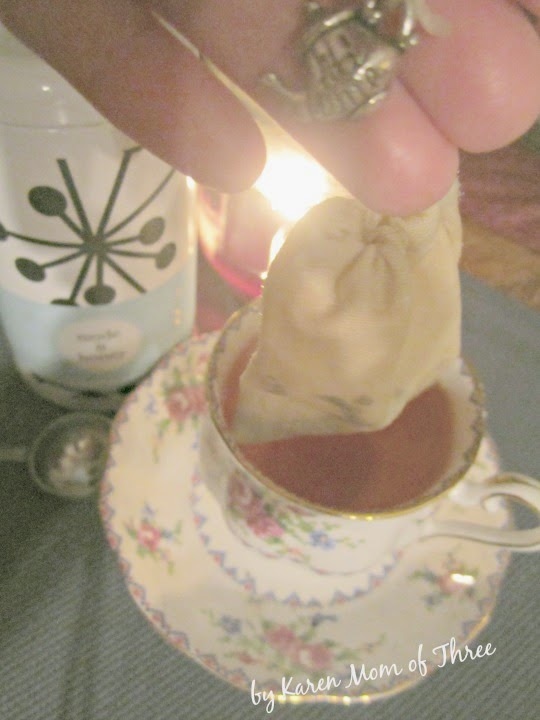 When you have steeped the tea to your liking, simply remove the bag. Allow it to dry and then open the bag and remove the used tea leaves. 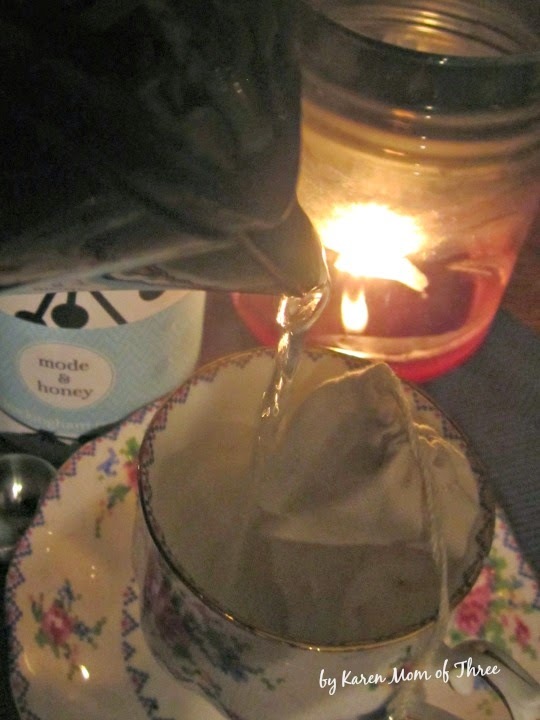 Rinse your tea bag and let it air dry and it is ready for your next pot of tea. 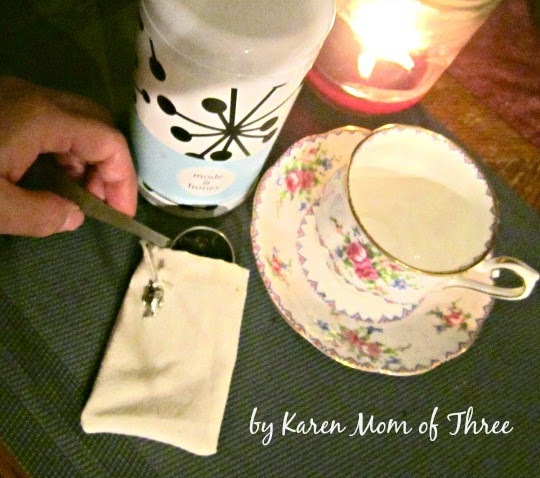 These are easy and fun to make and I hope you enjoyed this tea craft. 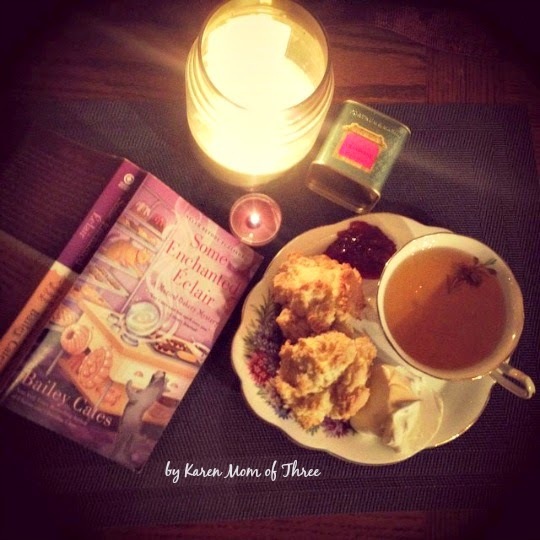 Now that I am done writing I am off to read!